If you're planning a theme park getaway, there are plenty of terrific parks to choose among. Whether you're a theme park aficionado who wants to make sure she's been to all of the most popular parks or you're just looking for vacation destination ideas, this overview of the best-of-the best in North American and European theme parks is sure to give you plenty of great ideas. While not everyone is likely to agree on exactly what theme parks represent the best-of-the best, the locations discussed here are certainly well-attended. They are widely recognized as great options for theme park enthusiasts and are spread out in different geographic areas. No matter where you live in North America, chances are you can travel to at least a few of these fun destinations - listed in no particular order. 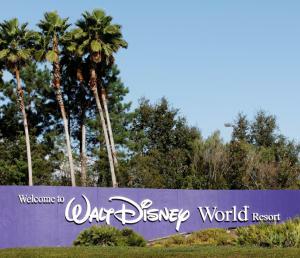 Walt Disney World in Orlando, Florida is widely recognized as one of the best theme parks in the world. It's included in the Huffington Post, Travel Channel, and USA Travel Guide lists of America's best theme parks, just to name a few examples of this resort's popularity. Walt Disney World actually consists of several individual parks, including Magic Kingdom, Epcot, Hollywood Studios and Animal Kingdom. According to MiceChat.com, Magic Kingdom alone had more than 17.5 million visitors during 2013, making it the most-visited theme park in the United States. During the same time frame, Epcot saw more than 11 million people, and Animal Kingdom and Hollywood studios saw more than 9.9 million visitors each. 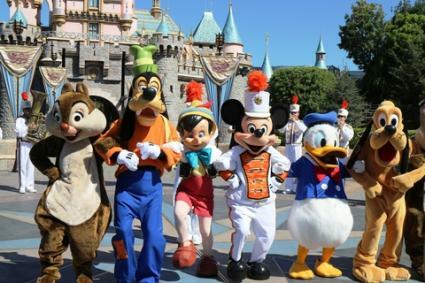 The Disneyland Resort in Anaheim, California consists of Disneyland Park and Disney California Adventure Park. While these parks are smaller than their sister parks in Florida, they are still a magical getaway. This theme park is included in the same USA Travel Guide lists as Walt Disney World, as well as Trip Advisor's list of the best amusement parks. It also sits at the very top of ComplexCityGude's list of the ten best theme parks in the L.A. metropolitan area. According to Southern California Public Radio, Disneyland ranked as the second most visited theme park in the United States in 2012 with 16 million visitors during the calendar year. Disney's California Adventure had the 7th highest number of visitors of all U.S. parks for the same timeframe. Located in Orlando, Universal's Islands of Adventure was the sixth most highly visited theme park in the U.S. in 2012, according to Southern California Public Radio. It is included on USA Today's list of the best Orlando theme parks. 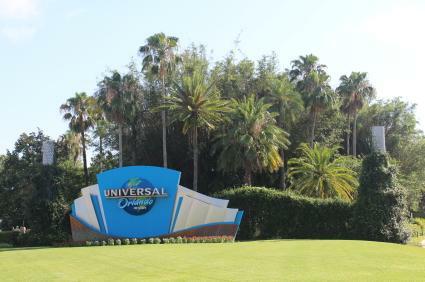 The ThemeParkGuy describes this park as a must-see for Orlando visitors, pointing out that it's the only Universal park that doesn't have a studio theme, though its parent company's rich tradition in the movie business is evident throughout the park. Travel and Leisure attributes part of the success of the Islands of Adventure location to the addition of the Wizarding World of Harry Potter to the park's attractions in 2010, indicating that the park experienced a 29% increase in attendance once this appealing addition opened to the public. The Universal Studios theme parks in Orlando, Florida and Hollywood, California are among the most popular theme parks in the United States. Southern California Public Radio indicates that the Florida and California Universal Studios locations ranked eighth and ninth, respectively, on the list of most highly visited theme parks in the U.S. The Florida location is included on the same USA today list of Orlando's best theme parks, and the California park is listed on the CBS Los Angeles list of the top five southern California theme park experiences for adults to enjoy. With locations in Tampa, Florida and Williamsburg, Virginia, the Busch Gardens parks are popular vacation destinations. The Florida park centers around an African theme, while the Virginia location is based on old world Europe. Both parks are known for outstanding roller coasters, with Williamsburg's Apollo's Chariot being included on Time magazine's list of top ten roller coasters and Tampa's Cheetah Hunt making The Guardian's list of the top theme park rides in Florida. According to the AECOM 2012 Theme Index, the Tampa park had over 4.3 million visitors that year, while more than 2.8 million people visited the Williamsburg location. Both parks experienced growth over the previous year. Six Flags operates theme parks in nine U.S. states with multiple locations in some states, as well as one park in Canada and one in Mexico. By sheer size alone, this company must be included on any best of the best parks in North America. However, there aren't just a lot of Six Flags parks; the parks are quite popular, attracting visitors to the communities where they are located as well as loyal local season ticket holders. A Los Angeles Times article reported that Six Flags added new attractions to each of its parks during 2014, including a variety of roller coasters, thrill rides and water features. One of the new attractions was be Goliath, a ride touted as the the fastest wooden roller coaster in the world with also the tallest and steepest drop of any other coaster. It is housed at Chicago's Six Flags Great America park. Sea World operates marine-life theme parks in Orlando, Florida, San Diego, California and San Antonio, Texas. The three Sea World locations have been recognized with numerous industry awards, including being named "Best Marine Life Park" by Amusement Today numerous times over the years. According to Attraction-Tickets.info, during 2012 the Orlando location had more than 5.4 million visitors, while San Diego saw over 4.4 million and San Antonio drew over 2.6 million. Located in Sandusky, Ohio, Cedar Point tops the Travel Channel list of the top 10 U.S. amusement parks, as well as Midwest Living magazine's list of the best theme parks in that region. The Cedar Fair Entertainment Company park has won numerous honors in its long history, including being named Best Amusement Park in the World by Amusement Today for 2013 (and several years prior). The park's Millennium Force roller coaster was also named Best Steel Roller Coaster in the World for the same time frame. According to Cleveland.com, Cedar Point came in 14th in attendance for all U.S. theme parks in 2012, with around 3.2 million visitors. It was the highest visited park outside of Florida and California. Also owned by Cedar Fair Entertainment Company, King's Island is located in Mason, Ohio near Cincinnati. It was recognized in 2013 by Amusement Today as having the best kid's area for the 13th consecutive year and is included on the Midwest Living list of the best Midwestern parks. King's Island came in just behind Cedar Point for 2012 attendance, with the 15th highest number of visitors out of all U.S. parks. King's Island is home to The Beast, an impressive wooden coaster that went into service in 1979. For years it was considered among the very best wooden coasters, though newer, more impressive models now exist. Theme Park Insider asserts that it is "the father of all great modern wooden roller coasters in America." Pennsylvania's Hersheypark was founded by Milton Hershey in 1907, with the goal of creating a pleasant environment for Hershey factory workers and their families. 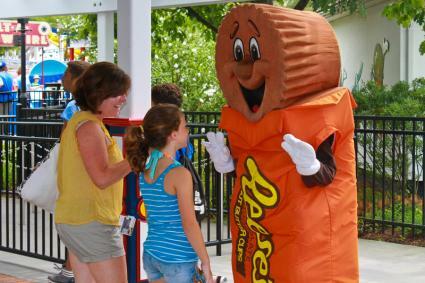 The park has evolved significantly from its humble beginning during its more than 100 year history to a full chocolate-themed attraction that draws visitors from near and far. According to CoasterGrotto.com, the park had more than 3.1 million visitors during 2012. Hersheypark was recognized as one of the top 10 amusement parks for family vacations by Family Vacation Critic. It was also listed as a favorite theme park by the hosts on Travel Channel. Located in Pigeon Forge, Tennessee, Dollywood is a popular theme park near the Great Smoky Mountains National Park. TravelingMom.com says that Dollywood is the best family theme park in America. In 2010, the year of its 25th anniversary, the park received the coveted Applause Award, one of the highest amusement industry honors. According to the Christian Science Monitor, "Dollywood is Tennessee's No. 1 ticketed tourist attraction, with 2.5 million visitors in a typical season." Located in Branson, Missouri, Silver Dollar City is counted among the 15 favorite Midwest parks listed by Midwest Living magazine. Designed to resemble an Ozark village during the 1880s, Silver Dollar City has been in operation since 1960. The park opened the Outlaw Run wooden roller coaster in 2013, a ride recognized with that year's Golden Ticket award for Best New Ride. According to Branson Tri-Likes News, as of mid-December 2012, the park had already been visited by more than 1.8 million people during that year, representing an increase in attendance over the previous year. There are two LEGOLAND locations in America, LEGOLAND California Resort (in Carlsbad) and LEGOLAND Florida (in Winter Haven), as well as four international locations (Billund, Deutschland, Malaysia and Windsor) and a discovery center in Kansas City. The California location has been in operation since 1999, while the Florida park just opened in 2011. The Florida park is a 'must-see' attraction according to the Huffington Post, and expansion continues at both U.S. locations. If you aren't planning a trip to Southern California or Central Florida, you can get taste of the experience by visiting a LEGOLAND Discovery Center. These centers are much smaller scale versions of the full theme parks, with U.S. locations in Atlanta, Chicago, Connecticut, Dallas/Fort Worth, Kansas City, Boston, Philadelphia, Westchester, Arizona, and Michigan. There are also Discovery Centers in Canada, Germany, the United Kingdom and Japan. 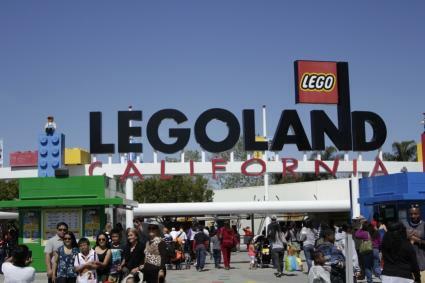 According to The Disney Blog, "The Merlin Entertainment Group, which owns the LEGOLAND parks... is the second largest theme park company in the world." Located in Buena Park in southern California, Knott's Berry Farm is owned and operated by Cedar Fair Entertainment Company. According to L.A. Tourist, "the park is consistently ranked among the top 15 theme parks in the country and continues to maintain its popularity." California Coaster King describes Knott's Berry Farm as the highest visited of all Cedar Fair's properties. The park had more than 3.65 million visitors in 2011, though, according to Theme Park Investigator, attendance decreased during 2012. 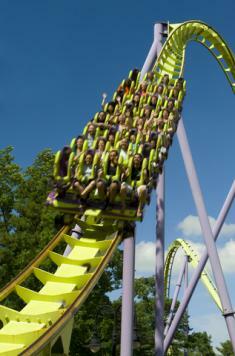 Canada's Wonderland is owned and Operated by Cedar Fair Entertainment Company. This Toronto park is at the top of the WorldWeb.com list of the top ten theme parks in Canada. Theme Park Canuck reported that the park had the 14th highest attendance of all theme parks in North America for 2011 with more than 3.4 million visitors. Attendance increased during 2012 according to Amusement Industry News + Notes. Great theme parks aren't exclusive to North America. There are a number of outstanding options throughout Europe, including the five impressive destinations mentioned here. The Tokyo Disney Resort consists of Tokyo Disneyland and DisneySea. According to Japan-Guide.com, Tokyo Disneyland is similar to the California park with the same name and is the "most visited theme park in Japan." DisneySea is a fantasy theme park unique to Japan and is described by The Theme Park Guy as "the best theme park in the world" and "the peak of theme park history." 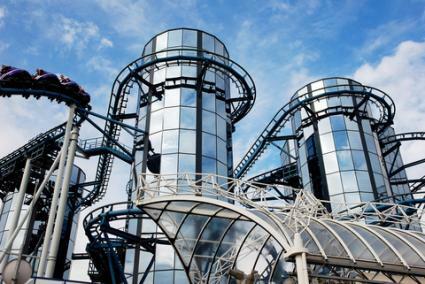 Trip Advisor includes Europa Park on its list of the Top 25 Amusement Parks in the World, calling it "the benchmark for theme parks." Europa Park was named the second best theme park in the world (after Cedar Point) in the 2012 Golden Ticket Awards. According to Digital Journal, in 2012 the Le Puy du Fou historical theme park became the first French theme park to win a coveted THEA (Themed Entertainment Association) international award. In 2012, Daily Mail reporter Fred Mawer traveled from England to visit the park with his family and found it more enjoyable than Disneyland Paris. The park is located in the Vendee department in the western part of the country. In the same Daily Mail review mentioned above, Mawer also reported on his family's visit to Futuroscope in France, describing the experience as "brilliant" yet "best suited to adults and children aged around eight or older." Most of the park is indoors, providing 3D and 4D virtual reality films as well as simulations. Europe for Schools describes the park as "one of the largest and most popular educational theme parks in Europe." It is also located in the western area of France, in close proximity to Poitiers. Port Aventura theme park is located in Caldonia, Spain (about a one-hour drive from Barcelona). According to Theme Park Guide, with more than 3.5 million visitors in 2012, the park is the top top theme park in Spain and one of the best and most highly-visited options throughout Europe. Mice Chat also refers to Port Aventura as "one of the best theme parks in Europe." Every visitor will make their own list of the top theme parks based on their experiences, preferences, and enjoyment. Let this list be a guide for discovering what different parks have to offer so you can plan your next getaway to a guaranteed great park.